Servant of the Crown by Paul J.Bennett is an epic dragons, swords and Sorcery, Fantasy Action Adventure story. It features an unlikely hero named Gerald Matheson who fought in the Northern Wars, until the day he nearly died defending King Andred IV from raiders and is Sent to the capital for healing. Now he now yearns to get back and serve the Baron of Bodmin. Then, Gerald is sent to serve in the garrison. However fate intervenes while he is in the slums of the capital, changing the course of his life. Caught up in a failed military action, Gerald becomes the scapegoat of the ensuing massacre. 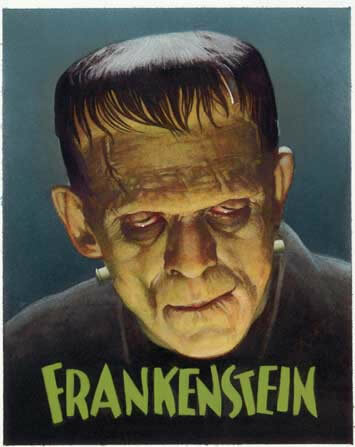 Saved from death by his mentor, he is instead banished from the capital, sent into obscurity at a forgotten Royal Estate. As he struggles to adapt to his new lot in life Gerald uncovers a secret the king has carefully hidden away from prying eyes which could have far-reaching repercussions, changing the fate and future of the entire kingdom. Actors who have portrayed the Doctor include William Hartnell, Peter Cushing, Patrick Troughton, Tom Baker, Peter Davison, Colin Baker, Sylvester McCoy, Richard E.Grant, Paul McGann, John Hurt, Christopher Eccleston, David Tennant, Matt Smith and Peter Capaldi. The transition from one actor to another is written into the plot of the show as regeneration, a life process of Time Lords through which the character of the Doctor takes on a new body and, to some extent, new personality, which occurs after sustaining injury which would be fatal to most other species. Although each portrayal of the Doctor is different, and on occasions the various incarnations have even met one another, they are all meant to be aspects of the same character. The new series of Doctor Who launches in 2018 and features Jodie Whittaker as The Doctor alongside Bradley Walsh as Malcolm, with a Doctor Who Christmas Special being broadcast Christmas 2017. 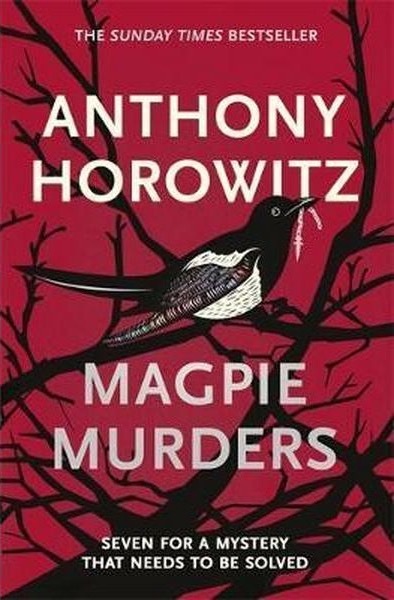 I would like to read The Magpie Murders by Anthony Horowitz. This novel is an intelligent homage to the Golden Age of Crime writers like Agatha Christie. It features Susan Ryeland, a forty something editor at a publishers named Cloverleaf Books who finds herself involved in a murder after she is given the latest manuscript of the Atticus series from an author named Alan Conway. The Atticus series is set in the 1950s. Atticus is a German refugee, who has assisted the police in a number of murder cases. He has an assistant, James Fraser, and is dying from terminal cancer. This is to be his last case. Atticus finds himself in Saxby on Avon, helping Inspector Raymond Chubb in what appears to be two murders, a cleaning woman, Mary Blakiston, and the beheading of Sir Magnus at Pye Hall. There are a host of suspects ranging from the vicar to the sister of Magnus, Clarissa. Mary Blakiston is a busybody who made herself privy to the secrets of many in the village. Magnus is loathed, and he has sanctioned the development of Dingle Dell which has created uproar locally. Atticus uncovers a web of deceit, fraud, and secrets galore. Initially she has no reason to think it will be much different from any of his others. After working with the bestselling crime writer for years, she’s intimately familiar with his detective, Atticus Pünd, who solves mysteries disturbing sleepy English villages. An homage to queens of classic British crime such as Agatha Christie and Dorothy Sayers, Alan’s traditional formula has proved hugely successful. So successful that Susan must continue to put up with his troubling behavior if she wants to keep her job. However The more Susan reads the more she becomes suspicious particularly when the author, Alan Conway, is discovered dead, apparently having committed suicide, however Susan is convinced that Alan has been murdered, He was an unlikeable character and many have possible motives to kill him. Then the novel ends abruptly at the point where Atticus is about to reveal the murderer, with three chapters missing. Susan becomes convinced that there is another story hidden in the pages of the manuscript and more than one mystery. So Susan turns amateur detective and goes in search of the missing chapters and Alan’s murderer. Susan concludes that the missing chapters contain clues to Alan’s killer, and finds numerous connections, cryptic clues and references in the rest of the Atticus novel, as she tries to find out who killed Alan and discovers a real-life story of jealousy, greed, ruthless ambition, and murder. Having read Conn Iggulden, I would like to read the exciting historical novel Knights of the Black and white by Jack Whyte. It is the first part of the Templar trilogy followed by Standard of Honour and Order in Chaos. It begins in 1088. During this time many French nobles were attempting to occupy a violently hostile England. Amidst this backdrop one young knight, Hugh de Payens, is inducted into a powerful secret society called The Order of Rebirth in Sion which draws its membership from the ranks of some of France’s most powerful families, with only one son from each generation eligible to be selected, and its members’ loyalty to the ancient brotherhood transcends loyalty to both Church and state. When the new Pope calls for knights to join his Crusade to redeem the Holy Land, Hugh is commanded by the Order to go along and he finds himself in hellish battle in Jerusalem. Sickened by the slaughter of innocents and civilians and appalled by the savagery of his fellow Christians, Hugh appeals to the Order to allow him and a few of the brotherhood to follow a different path. Determined to remain true to their own beliefs, they become the Poor Fellow Soldiers of Christ, a unique order of fighting monks, and use the skills honed in battle to defend and protect pilgrims on the road to Jerusalem. However the Order has a different plan, and soon the brethren are charged with an outlandish and dangerous task—a seemingly impossible mission to uncover a treasure hidden in the very center of Jerusalem, a treasure that might not only destroy the Crusader kingdom of Jerusalem but also threaten the fabric of the Church itself.